Your organization’s CULTURE is strong and ready to deliver. Group50 Consulting offers organization design and development services that cater to your specific business needs, additional information can be found in fuller detail on our website. Our assessments identify the unique opportunities for your organization and our workshops, systems and training provide guidance to focus on your priority areas. Whether you’ve just begun the process or are on the final stages of initiating change, we are equipped to drive your Strategic Execution for organizational-wide success. Bruce Dougan, SPHR OD Practice Lead Group50 Consulting (513)-508-0351 BDougan@Group50.com. He heads up Group50’s Organization Development Practice. He combines global corporation expertise (Procter & Gamble) with the agility required in smaller fast paced organizations. He brings leadership expertise in Manufacturing/ Operations, Supply Chain Management, Sales, Customer Service and Human Resources. He adds a significant amount of people knowledge to our Strategic Planning programs and is considered an expert in Organization Design and Development, Talent Management processes, Human Resources Assessments/Audits, Mergers and Integrations, Change Readiness and Cultural Development. 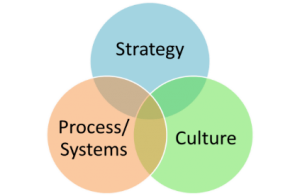 Group50®’s focus is working with our clients to develop a culture of effective strategic execution. Group50 takes a holistic approach to effective strategic execution utilizing proprietary methodologies and tools that are sustainable and scalable. We approach all projects with a focus on alignment, integration and optimization in support of the company’s strategic objectives.